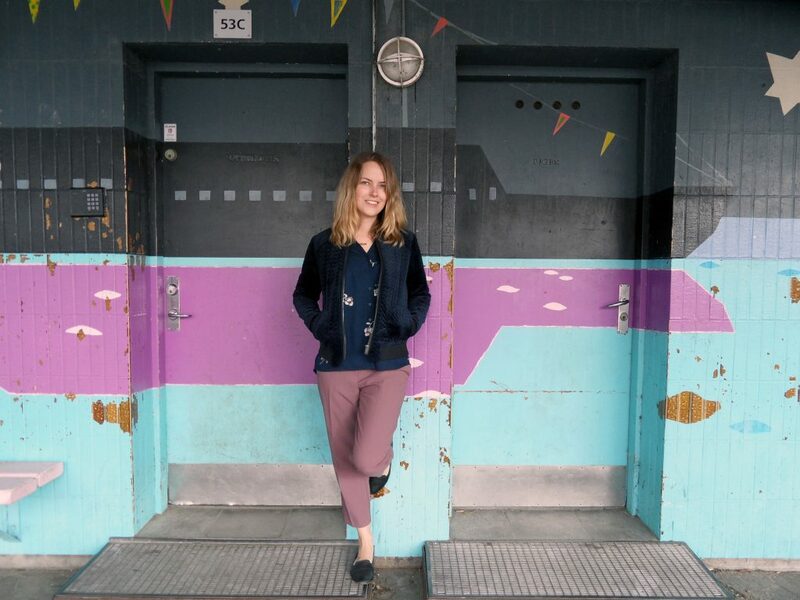 We met Mie when we launched our first swapping event abroad – in Kolding, Denmark. She visited our Clothing Swap Party and we become very impressed with what she shared with us. Svetla: Hello, Mie. I read on your blog that you have made an agreement with yourself that you do not want to shop for a whole year so you can learn to enjoy the clothes you have in your closet before you buy new ones. Could you please tell us more about how you got inspired? Mie: Hi Svetlana. Well, it started back in 2011 when I was visiting my local thrift shop. I found a little book about Feng Shui on the bookshelves. I flipped through the book and read a few chapter titles and thought to myself “hmm, this might be interesting!” Little did I know that this book was going to turn my life around. I started to read the book and it was not so much the Feng Shui that caught my attention, it was the chapter about decluttering. Step by step the book guided me through my home questioning every little thing I owned – and that is where it all started. The book became my Bible for a couple of years, and I decluttered my home over and over again until I was left with only the items I really needed, really loved or found to be beautiful. 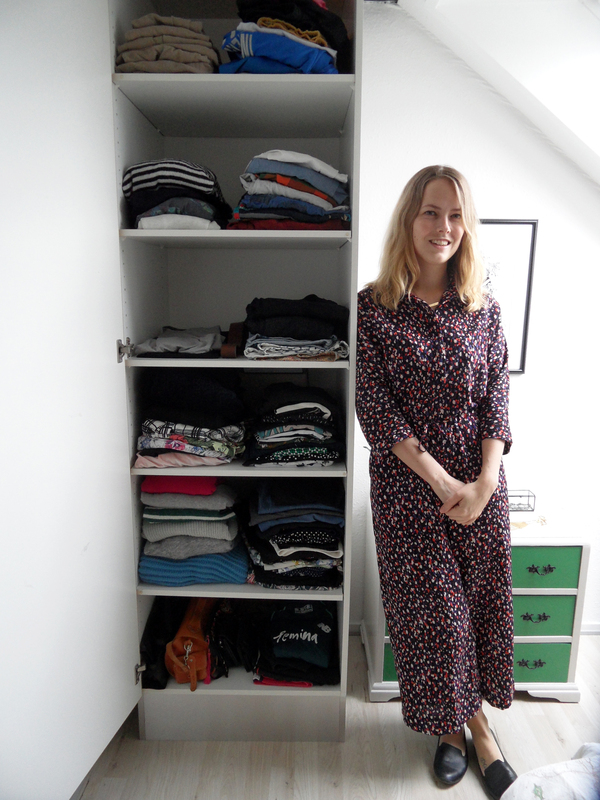 After those years of decluttering my home, I took a good look at my wardrobe and decided to do the exact same thing with my clothes. If I could live with only the things I really needed in my home, maybe I could live with only the clothes I really needed in my wardrobe. Since then I have been challenging myself. Questioning everything I bring into my home and my closet, which have to lead me to challenge myself to live a whole year without shopping – because how much clothes do I really need? The beautiful thing about my journey is the sustainable aspect of it. I went from being a materialistic woman who bought whatever was on sale, not because I needed it, but simply because it was on sale, to a rather simple woman questioning my need for new clothes while thinking about the side effects of buying new clothes. Svetla: I believe many young people think the same as you – they want to have a sustainable life but can you give them a few simple pieces of advice on how to start? Mie: I am a sucker for inspiring quotes, so I would say: Do what you can, where you are, with what you have. It is all about taking baby steps towards the big goal. The biggest changes are found when we change something we do on a daily basis. For an instant, start using a lunchbox every day instead of using plastic bags or tinfoil, or washing your clothes at 40 degrees, not 60 degrees, or maybe stop throwing leftover food out, but save it for the next day. Svetla: If you can use three hashtags, how would you describe yourself? Mie: Thoughtful. Goal orientated. Silly. Svetla: Can you share with us your experience with the project and what is your goal? Mie: The primary goal is to go through 2018 without shopping. The secondary goal is to end up with a wardrobe consisting of only 50 pieces. The 50 pieces are going to include clothes, outerwear, bags/purses and footwear. It does not include sportswear, underwear, socks, stockings, accessories and so on, but these items should of cause be kept to a minimum amount. I have once before lived with a wardrobe consisting of only 50 pieces and I really liked it. So the overall goal is to not shop for one whole year, so I can wear out the clothes in my closet and (hopefully) step into 2019 with a wardrobe of only 50 pieces. “Why only 50 pieces?” you might think. When only having 50 pieces of garments, you end up wearing your garments over and over again. That way you actually get to wear out your garments and you can buy new clothing with peace of mind. How wonderful is that? It is also a part of the process this year to find the garments in my wardrobe that I do not use or like anymore, and either sell, donate or swap it for something else. I started this project with 105 pieces in my closet (clothes, bags/purses, outerwear and footwear) and so far I have swapped 3 pieces, donated 9 pieces and added 7 pieces to my “Sell”-pile. Svetla: We are almost at the end of March – how did the idea develop or change? Can you take a picture of your closet so we can see how many pieces there are on the bottom shelf? Mie: I started the year by emptying the top shelf in my closet. Every time I had washed some of my clothes I would add it to the shelf because then I would quickly get an overview of which garments I actually use. But somewhere in the process, I stopped doing that. Mainly because I found myself using the same garments over and over again without even trying to include some of the garments I rarely use. So I changed my strategy! I spent a whole day mixing and matching all of my garments trying to come up with new ways to style and wear my clothes. After that, I decided to sort my garments by categories. 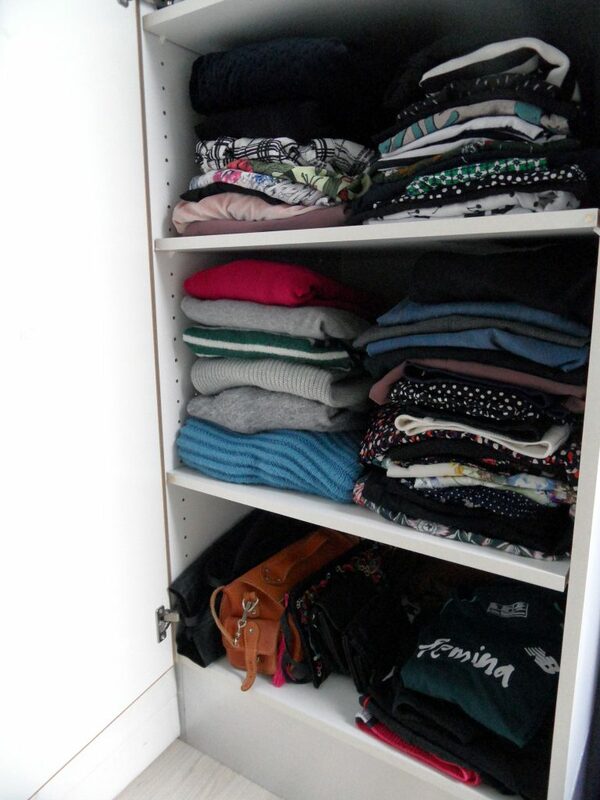 I now have my jackets and tops on the top shelf, my sweaters, trousers and jumpsuits on the middle self and my bags and sportswear on the bottom shelf. Svetla: How do you remain strong and motivated to follow your goal? What are the successful drivers that lead you to a better sustainable living? Mie: I am a very goal orientated person, so it is not that difficult for me to stay motivated, but I have found it very useful to tell my friends and family about my project, knowing that if I fail my project, I will have to tell them and I do not want to lose face. There is also an economic aspect to the project. I am saving money because I am not shopping like I used to, and that is very motivating. I am fortunate to live in a part of the world where I have a bed to sleep in, a roof over my head, a fridge with food and a great society behind me making sure I get an education and a good life. I am so privileged to live like that compared to many other people in the world, but for me, that privilege comes with a responsibility to take action for those who do not have the same opportunities as me. That is the main driver that leads me to a better sustainable living. Svetla: There was another interesting blog post you wrote: “The biggest challenge this year”. Can you explain what did you do and did you manage already to find a solution for the dresses? Mia: Before I started this project I did not realize how many festive celebrations I am attending this year. So far I am going to 7 celebrations within the first 6 months of 2018, such as my best friends wedding, 4 round birthday parties, the confirmation of my niece and the christening of my best friends baby girl. I went through my wardrobe and found 7 beautiful outfits that I will be wearing. The only problem is I do not have a pair of shoes to match the dress I am wearing to the wedding. Luckily some of my girlfriends have offered me to borrow a pair of heels and if that won’t work I am hoping to swap an old pair of mine at the next cloth swapping party. 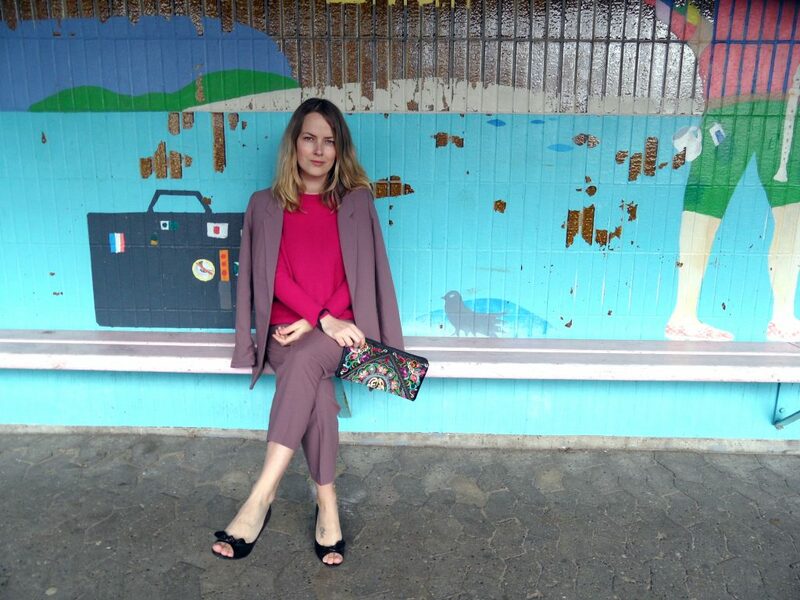 Svetla: Can you share with us pictures of your favourite garments in your closet and how you like to combine them? Mie: Yes! 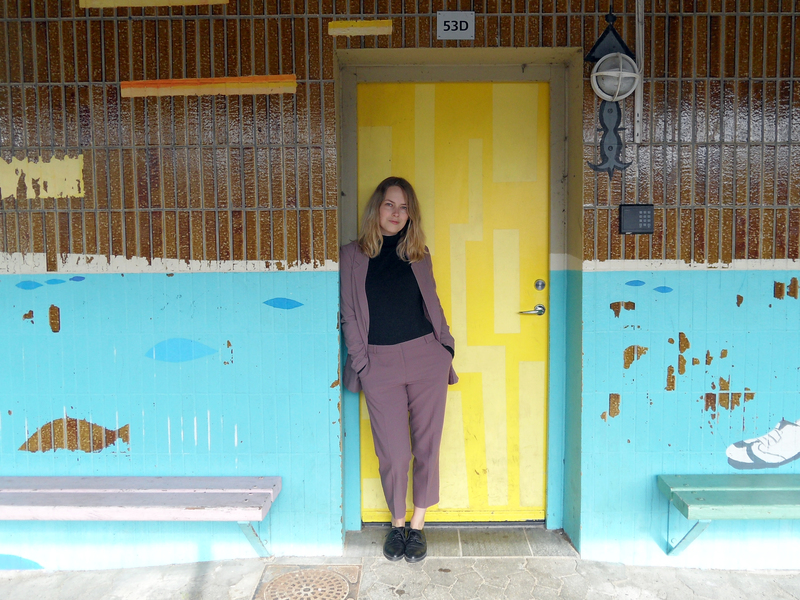 My absolute favourite garments are without a doubt my pants suit (cropped pants and a blazer). It is so versatile and I find myself wearing it for all sorts of events. Most recently I wore it to my mothers 60th birthday party. I like to combine it with everything from heels and flats to sweaters and shirts. Svetla: What is your favourite piece of this winter? And for the upcoming spring? 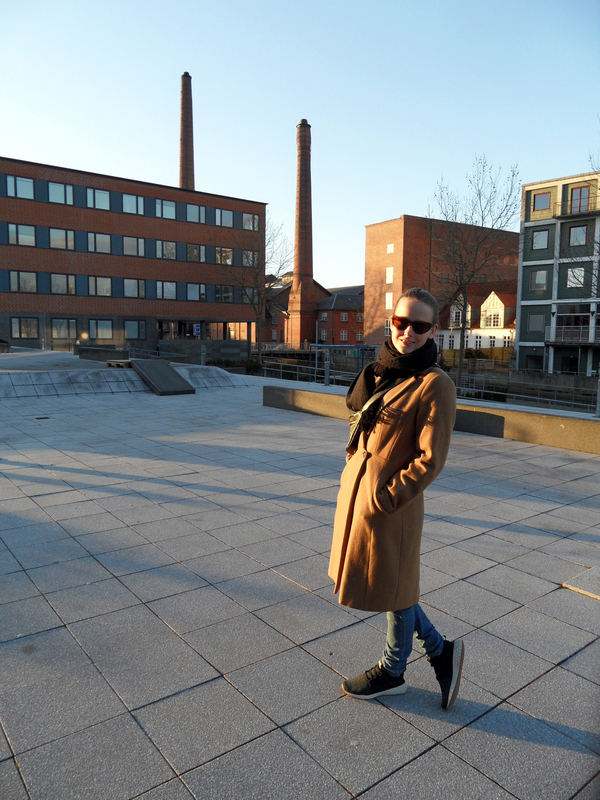 Mie: My favourite piece for winter is my camel coloured coat. I have had it for around 4,5 years now and I never get tired of it. The coat is a classic wardrobe piece and forever stylish. My favourite piece for the upcoming spring must be my “confetti” coloured jumpsuit with wide legs. It is so lightweight that is feels like I am not wearing anything. And I love the colours! Svetla: How do you get new clothes without buying anything? Mie: Cloth swapping parties! I love that events like these exist – how amazing is that? But other than that, my girlfriends have offered me to borrow garments from them if I am in need. They also offered me to go through the garments they will be discarded before they donate it to charity. I guess right now I am their charity. Svetla: Can you share with us your experience during our Cloth Swapping Party? Also, you may give us some advice and ideas about how we can improve it. Mie: I attended the Cloth Swapping Party with a girlfriend of mine and three family members. We had a great time going through the clothing racks searching for garments that would fit our personality. It was just like going on a treasure hunt. I brought 3 pieces of clothing to the event and ended up taking 3 pieces of clothing in return. The pieces I found were one pair of heels, one knitted shirt and one pair of jeans. Svetla: Do you also follow the same sustainable manner towards the food you are eating/shopping? Mie: 7 months ago I became vegan. Primarily because it has done wonders for my health and secondarily because it is a more sustainable way of living. I would like to say it was the other way around, but it would not be true. Before I became vegan I had a period of 5 years with health issues, mainly stomach issues. I tried everything from medical help to natural aids to make the pain go away, but nothing helped. One day my boyfriend suggested we tried a plant-based diet for a while. So we did and it did wonders for my health, and we have not eaten anything else since then. Parallel to the transitioning to a plant-based diet, it became clear to me how much more sustainable the plant-based diet is rather than eating a more carnivore diet. It is still a pretty new area in my life, but I am super excited about it and want to explore more about this lifestyle. I have a few sustainable rules I like to follow when grocery shopping. First of all, I never buy more groceries than I know we are going to eat (to avoid food waste). Second of all, I try to buy organic food when possible (typically around 50% of our groceries are organic). Third of all, I try to always bring a tote bag for my groceries (to avoid buying plastic bags). Svetla: Do you consider that our decisions and behaviour affect the nature and the environment that surround us? Mie: Absolutely. I believe most of our daily decisions affect the nature and the environment in some sort of way and that is the way it is so important we questioning our daily habits. It does not matter whether you buy coffee to go on a daily basis, shop in H&M once a week or carry your groceries home in a newly purchased plastic bag twice a week – it is all more or less negatively affecting the environment. Svetla: Mie, can you tell us, please, what makes you happy? Mie: Sunshine, long walks in nature and spending quality time with friends and family. Hi! My name is Mie Schmidt. I am 29 y.o. and I have made an agreement with myself: I will not shop for an entire year! Why? To prove to myself that I have more than enough clothes in my wardrobe already, and to prove to myself that buying new clothes really will not make me happier. Also, buying new garments (that I do not need!) is not a sustainable solution for anyone, so hopefully I can inspire you to take a good look at your wardrobe and convince yourself to not buy so many clothes in the future. Публикувано в ВЪРТИДРЕШКА с етикети blogger, circulareconomy, personalproject, recycle, reuse, sustainability.